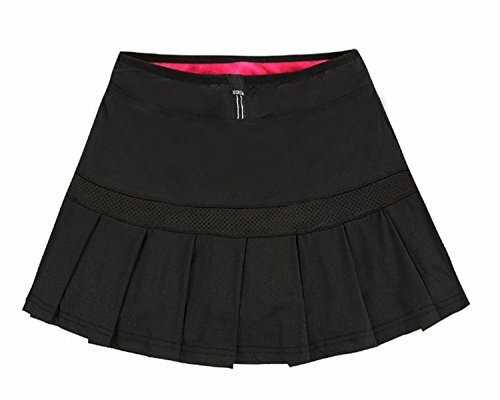 This women's sport skirt skorts are made from polyester and cotton, quick drying, moisture-wicking and breathable. Our athletic skirt skort has two layer, shorts iner and skirt outer, you can enjoy your sports without worries. Wide elastic wasitband, adjustable and comfotable to wear, fits your body well, pleats design, more fashionable. If you have any question,you can contact us,then we will solve it for you. If you have any questions about this product by AYDOG, contact us by completing and submitting the form below. If you are looking for a specif part number, please include it with your message.